Classical Five-Element Acupuncture is one of the oldest forms of healing known, having been in use for over two thousand years. It is based on the laws of nature of which we are an integral part. It balances and harmonizes our body’s energy, supporting our innate healing process. It treats the whole person—body, mind and spirit—focusing on each of us as a unique individual. Chinese philosophy states that it is the balanced flow of life force energy, or Qi (“chee”), in the body that gives health and vitality. Qi circulates through channels called meridians nourishing our organs and functions. If the flow of Qi become blocked or weakened, our body becomes vulnerable to disease. It is then that symptoms may appear--signs of distress—such as chronic pain, headache, insomnia, digestive problems, depression, etc., confirming a state of imbalance. Acupuncturists use very fine, sterile needles to balance and harmonize the flow of Qi, thus supporting the body’s innate healing process. Classical Five-Element Acupuncture uniquely strives to diagnose and treat the underlying cause of the energy imbalance rather than focus only on symptoms. Addressing the root problem encourages healing at a deeper level. The goal of treatment is not only to promote relief from symptoms but to improve one’s overall health and quality of life. A free one-half hour consultation is available to determine if acupuncture can help your condition. This may be done by phone or in person. In the initial appointment (approximately 2 hours), various diagnostic tools are used to assess a person’s state of energy. A complete case history, life overview and physical exam give further information that allows for the development of an individual, comprehensive treatment plan. Needles are not used during this first appointment. The first few treatments may last two hours and those following are about 1½ hour long. (The actual length depends on the person’s condition.) An herb called moxa and fine, sterile, hair-thin, disposable needles are used to influence a harmonious flow of energy at selected points along energy pathways. Response to treatment will vary according to different factors such as the severity of one’s condition as well as the length of time a health problem has been present. Some individuals respond quickly, whereas the process will take longer for others. 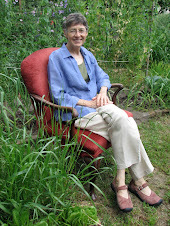 Fern holds a Masters degree from the Institute of Taoist Education and Acupuncture in Louisville, Colorado. She has also studied CranioSacral Therapy with the Upledger Institute and worked as a licensed massage therapist. Fern also holds a Masters degree in Secondary Education from the University of Southwestern Louisiana in Lafayette and a B.S. in Health, Safety and Physical Education from Northwestern State University, Natchitoches, La. Saturday 9:00 am – 2:30 pm.